Senior Fridays: rotating every other Friday the men delivers and serves lunches to our senior adults and takes them to Poteau for any shopping needs they may have the other Friday. 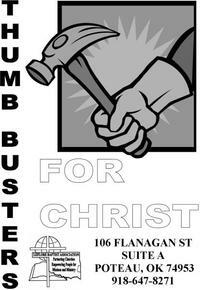 If you know of any who could benifit from this ministry, please feel free to contact the church office to let us know. Men's Brotherhood: Every third Monday of the month we gather with other men in the area of the Leflore Baptist Association for worship, preaching, food, and fellowship. 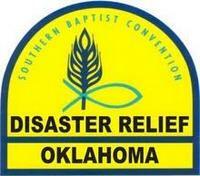 WHAT IS THE OKLAHOMA BAPTIST DISASTER RELIEF CREW? A group of trained volunteers who give their time & expertise in preparing and serving hot meals, operating chain saws, providing child care and cleanup & recovery. Volunteers are called to travel to disaster areas & serve. It is designed to provide temporary child care, hot meals, & cleanup & recovery for victims & workers following a disaster such as flood, tornado, earthquake, etc. We work in conjunction with the American Red Cross and Federal Emergency Management Agency as well as the disaster relief office of the North American Mission Board.